Fed Batch / Fercen / Continuous and Batch Fermentation depending on the conditions. 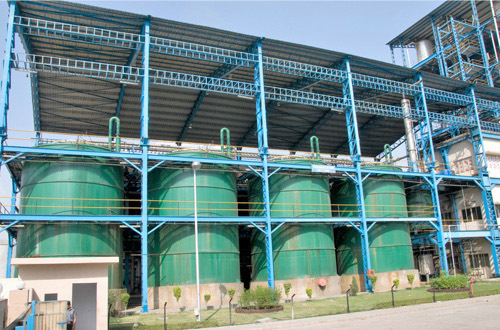 Superior Sludge Dewatering and High Alcohol Recovery by use of Sludge Separation and Decantation System. Yeast Propagation Plant designed for growing faster yeast cells as well as safeguards for bacterial growth / contamination. Optional: Yeast Cell Recycle System. Flexibility to use different types of wort – like sugarcane juice, molasses or grain syrup in the same plant with negligible modifications. Achieved efficiencies of 91% in Molasses and 93% in Grain as feedstock. Low fermentation time – 27 hours Molasses & 60 hours Grain.